Discussion in 'Streetwear and Denim' started by rach2jlc, Oct 8, 2014. Hi all, wondering what you think of this Dunhill briefcase - https://www.dunhill.com/gb/business-bag_cod46497867nq.html. I'd be getting it new & at a little more than 50% off retail. I know Dunhill bags get some negative comments in this thread (including here for a similar but different bag from a couple of years ago that was specifically singled out for being hated!) and I'm trying to understand why. I get that this isn't a super high end hand made bag but it ticks a lot of boxes for me and at half off seems like decent value. IMO, the model that you linked has some major improvements over the one that was roasted in earlier comments. The handles look to be quite well-constructed (huge improvement over the previous model). Additionally, the zipper looks to be high quality. Hard to tell for sure, but it looks like a concerted effort was made to improve several of the things that @rach2jlc had disliked about it. Maybe someone who's seen one recently will chime in. I'm looking for a bag for starting my new graduate job. I will need it to fit an iPad pro/ laptop and my budget is around £400! If possible from Farfetch as I can get employee discount! Hey bag dudes, considering a Glenroyal bag, a Scottish manufacturer that seems to sell almost exclusively to the Japanese market. 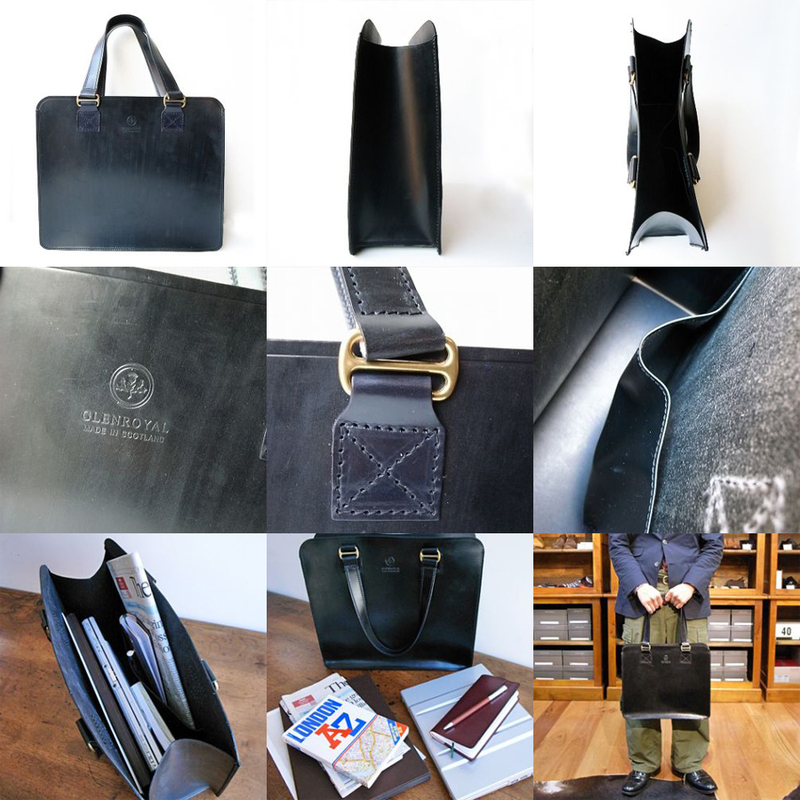 Known for bridle leather goods. I'm looking for a tote bag, relatively small size, with shoulder-length straps, simple design, lightweight. Love this design. How much do you sell.domejtijg like this for? Thank you @FromToronto - Will PM you some info. Could you pm me some info as well please? Looking for a new bag myself ! We're doing a little survey on our affiliate thread about ideas for our upcoming collection, and things you'd like to see from us. @nicelynice that leather tote looks great. I would like to buy something similar to that myself... Any stores in Japan that carry that model that will ship to EU? Alternatively, at one point I found a french bag company that made a very simple canvas/leather trim bag that I would like to buy next week I'll be in Paris. I think it was maybe like a 'weekender' size. It was almost like a doctor's bag but without the metal frame. Anyone have any ideas what I might be thinking of? Get off of the internet. Hi guys, any thoughts on Loewe's bags and leather accessories - quality of leather, design etc? Seen some interesting pieces from them recently. Thanks. Anyone know who made this bag? It's 15"x8"x9"
No branding. Canvas. Purchased in the USA. 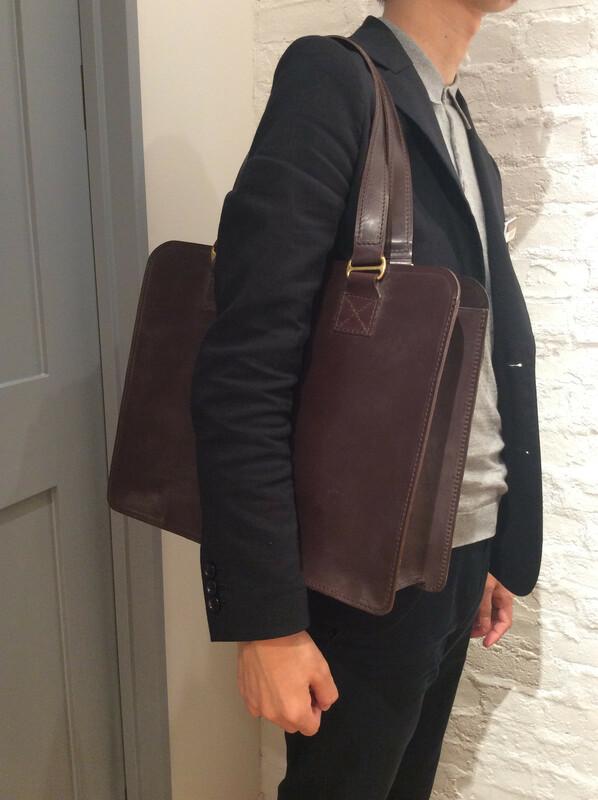 After a few months of looking for a nice work bag, I scored this handsome Piquadro bag in a recent Yoox sale. Full calf, perfect size for me, great, understated style, excellent organization pockets inside, and important to me - a detachable shoulder strap that is a generous inch-and-a-half wide for comfort, and avoiding wear to coat shoulders. For a shade over $100 USD, I'm pretty impressed. Obviously does not have the luxury prestige or pedigree of a Clegg or other makers, but a nice start for me transitioning away from a day pack. Anyone have suggestions for excellent products to help weather guard nice leather, and that won't discolor or result in a haze build up?